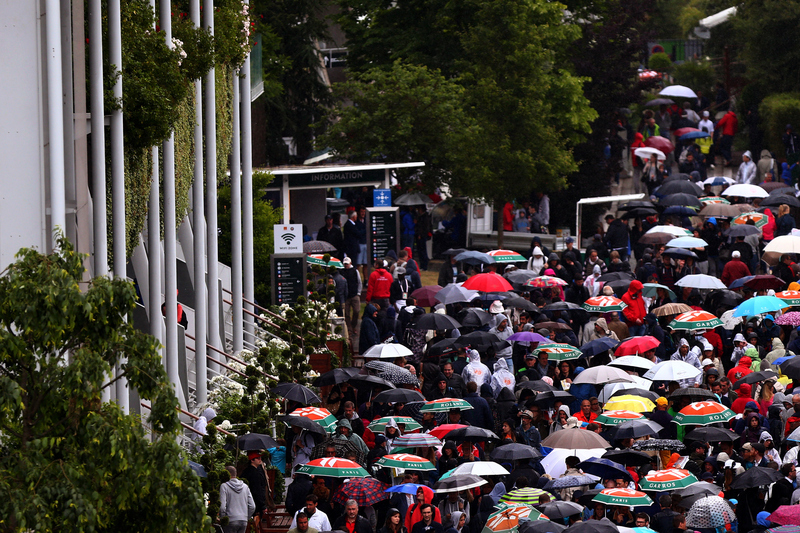 Kei Nishikori makes another milestone, Jo-Wilfried Tsonga edges Tomas Berdych, Gael Monfils vs. Roger Federer match suspended and more from a rainy Sunday at the French Open. 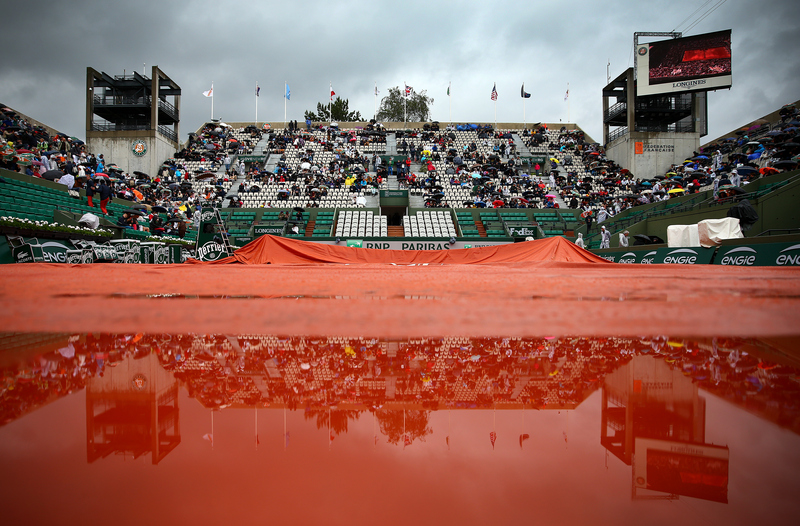 PARIS – Catch up on the news and results from a rainy Sunday on Day 8 at the French Open in Paris. 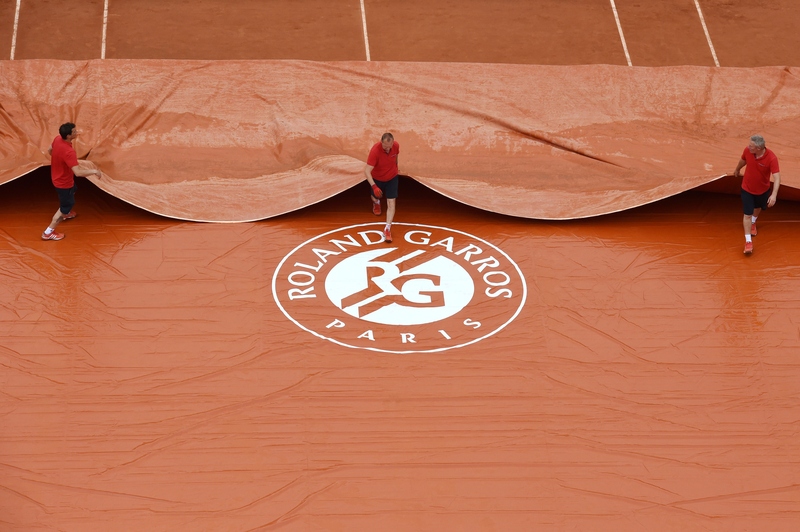 Rain pushes two women's fourth rounders into Monday: The Maria Sharapova–Lucie Safarova and Flavia Pennetta–Garbine Muguruza matches were cancelled on Sunday after a significant rain delay earlier in the day meant the last matches scheduled on Courts Philippe Chatrier and Suzanne Lenglen would be pushed to Monday. That creates a tough turnaround for the winner of both matches. They both play first on Monday and then the winners will face off on Tuesday in the quarterfinals. 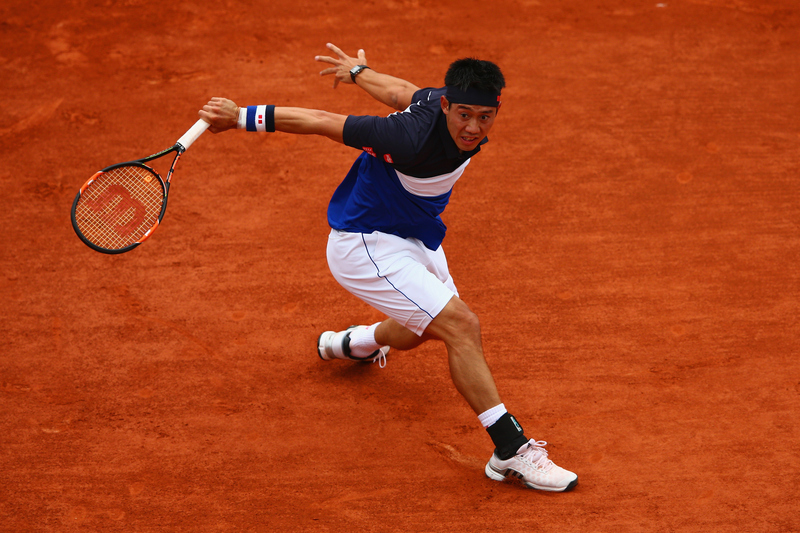 Another milestone for Kei Nishikori: By romping to a 6–3, 6–4, 6–2 win over Teymuraz Gabashvili, Nishikori became just the second man in history to make the quarterfinals at Roland Garros (and the first in the Open Era). He has to like his chances of going even further. 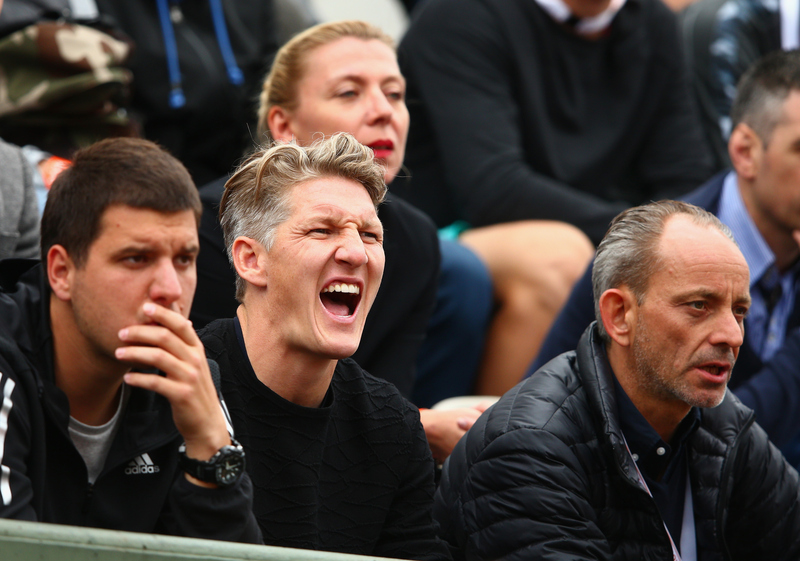 He'll face Jo-Wilfried Tsonga and he's won four of their five previous matches. 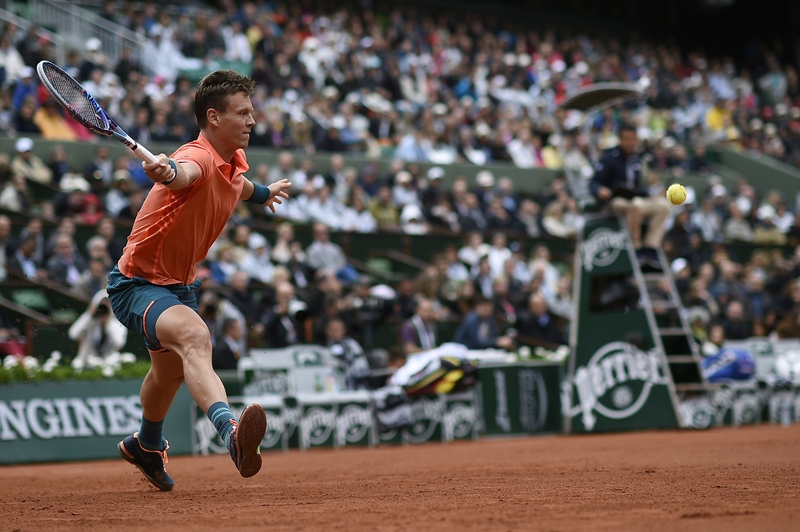 Tsonga snaps Tomas' Berdych's quarterfinal streak: It definitely wasn't the same Berdych as we've seen over the course of the season, but No. 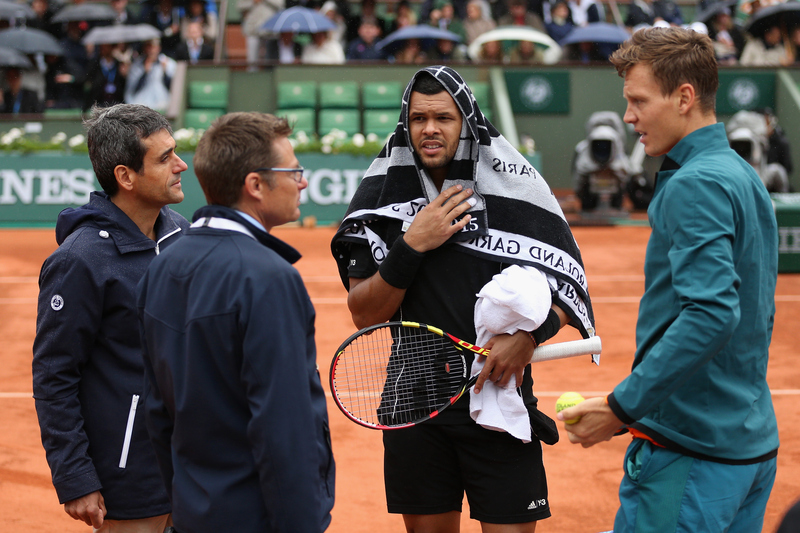 14 seed Tsonga overcame a slight wobble in the third set to hand Berdych his first loss before the quarterfinal stage of a tournament in 2015, winning 6–3, 6–2, 6–7, 6–3 to advance to the quarterfinals in Paris for the third time in his career. 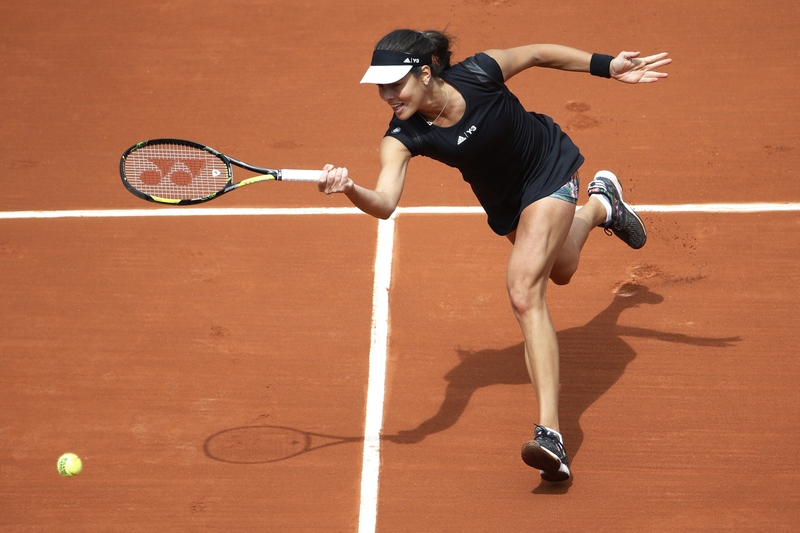 ​Ana Ivanovic turns back the clock: Not since 2008—the year she broke through to win the French Open—has the smiling Serb made the quarterfinals in Paris. But the No. 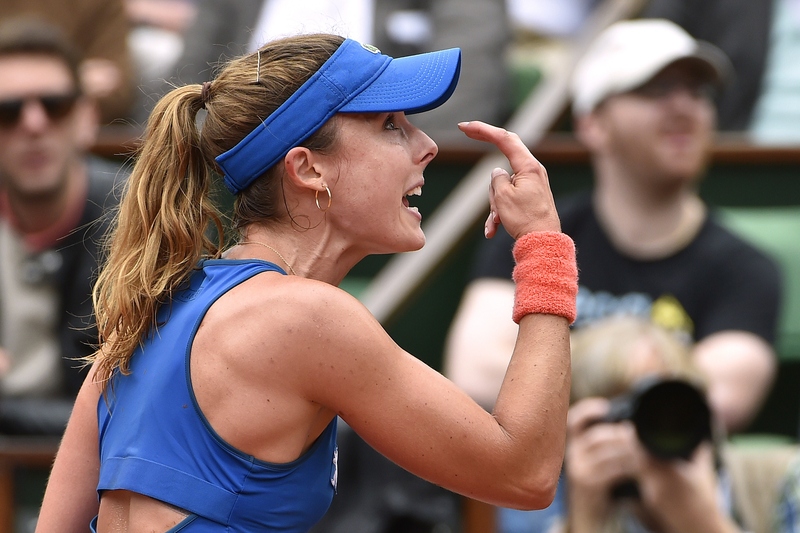 7 seed has now played two quality matches in a row to book her spot in the next round, beating No. 9 Ekaterina Makarova 7–5, 3–6, 6–1 in the fourth round on Sunday. 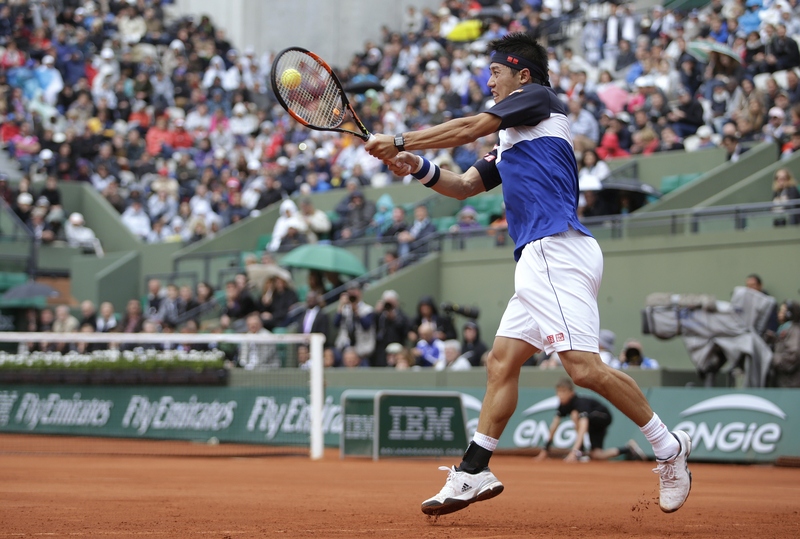 "To be honest, coming into the tournament I didn't really expect that at all. But I really worked hard for each match. I worked hard even before the tournament to reach the quarterfinal again here. It feels amazing," she said. 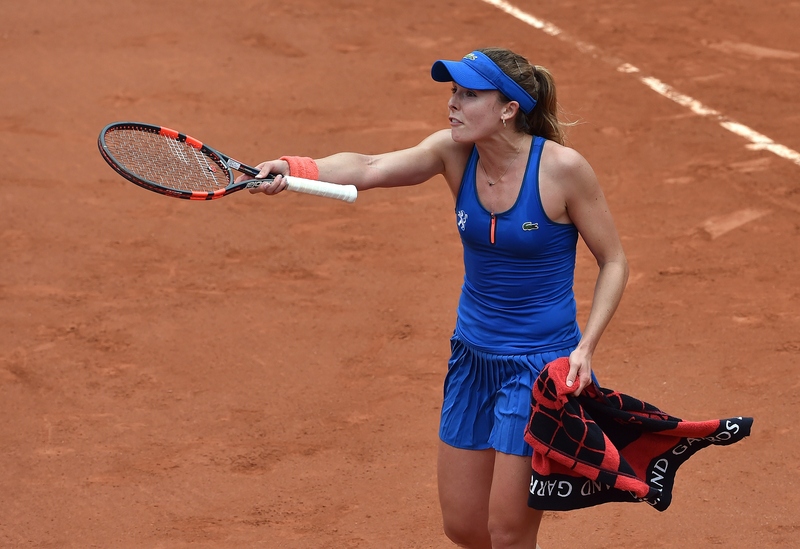 Elina Svitolina overcomes Alize Cornet's dramatics to make her first Slam quarterfinal: The Frenchwoman pulled out all the stops in a 79 minute second set, but Svitolina, a talented 20-year-old from Ukraine, kept her focus to close out a 6–2, 7–6 (9) win and earn a quarterfinal matchup vs. Ivanovic. 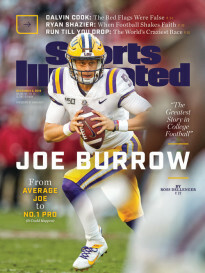 Ranked at No. 21 and seeded No. 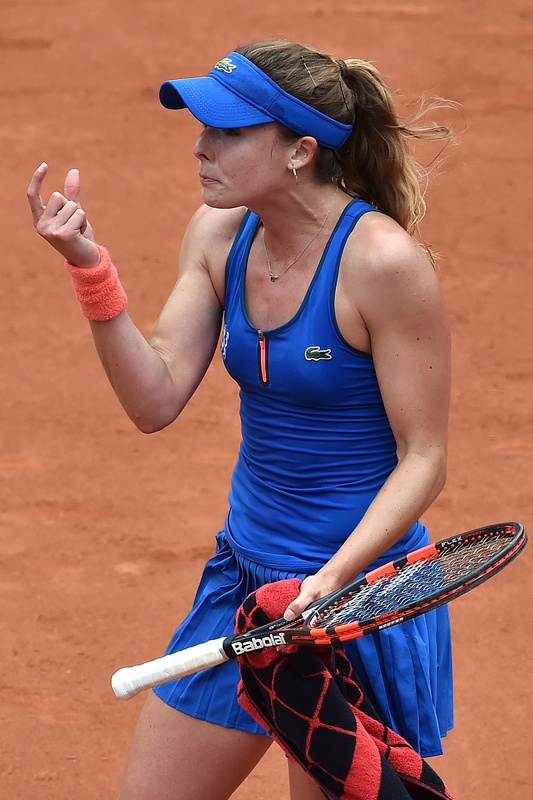 19 in the tournament, Svitolina may not make headlines like Sloane Stephens, Eugenie Bouchard or Belinda Bencic, but she has steadily improved with every year and it's finally paid off for her on a big stage. Quote of the day: Ajde? Q. 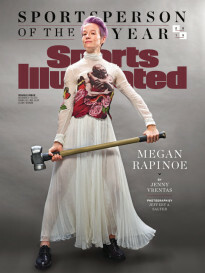 You mentioned emotions on court. You were perhaps even more emotional than normal today. You were really intense at times. Is that because it means more at this stage of your career when you get these chances? 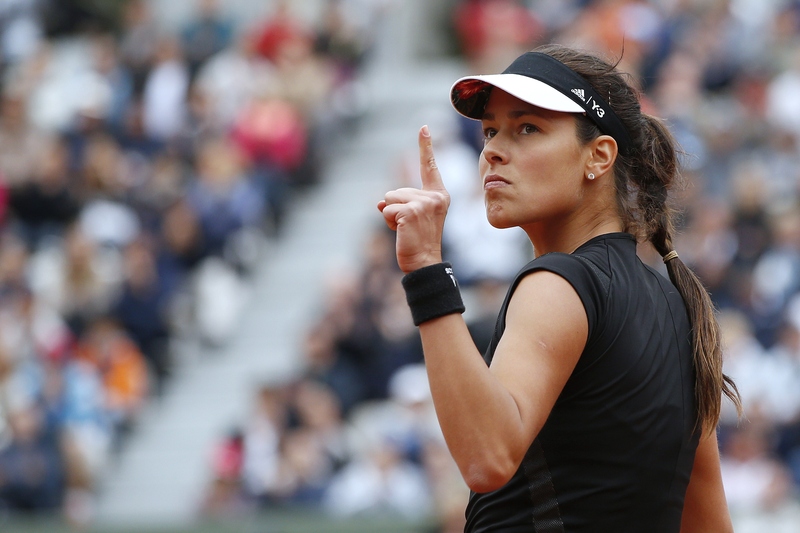 ANA IVANOVIC: I think it's because I'm Serbian. 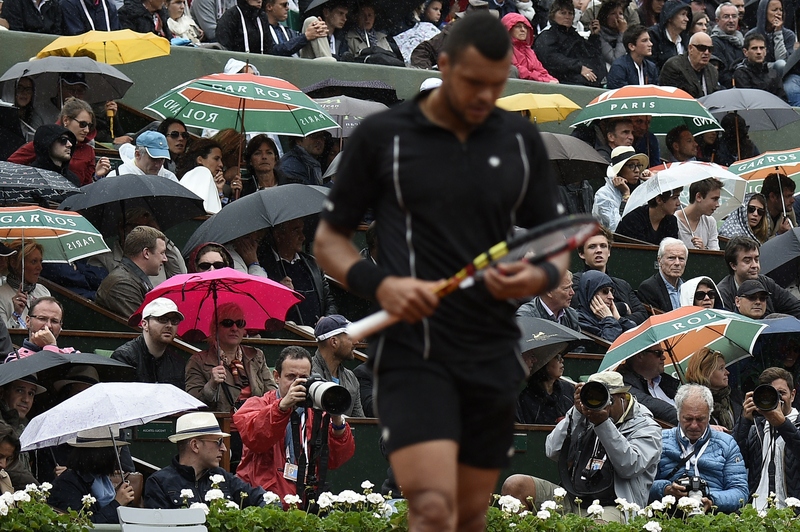 Crowd reaction of the day: Only in Paris will you see the Mexican Wave done with umbrellas. Maybe they were just trying to keep warm?